SEE Result 2074 2075 is on a way to publish. Check SEE result 2074 2018 now. 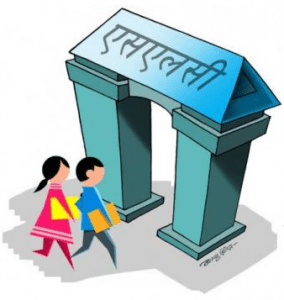 SLC is no more SLC: School Leaving Certificate. It is now SEE Secondary Education Examinations. Similarly, the students will be categorized based on grade rather than the percentage. Earlier it was divided as per marks obtained by the students and they are converted into the percentage as given below. Every year, Education Board Sanothimi, Bhaktapur is responsible for conducting the SEE exam smoothly and conveniently. It is also responsible for publishing the result on time that will take usually between 45 -60 days. SEE result is available on wapnepal.com.np. What is SEE result 2074 2018? SEE is termed an iron gate for the students. The passed percentage of the previous year was very poor due to which the Education board decided to change the grading system so that the number of passed students will be higher. Well, the new grading system is somehow better than previous one since it will increase the number of passed students. As a result, a higher�number of students will be able to read higher education. There will be no fail students as the result will be based on grade. But their grade will define their level of education. So, in order to get admission in higher secondary level, one must secure above D+. The best and reliable online site to view SEE exam result is NTC. Enter the web address of NTC as http://www.slc.ntc.net.np. Now, enter your symbol in the symbol no. the section as shown in the figure. Then, you will know your result. For NTC users, go to your message box and type see<space>symbol number with an alphabet and send it to 1400. If you want to use other than this, then type SEE<space>symbol number and send SMS to 35001. You can use this service from NTC or NCELL. This is a service provided by Sparrow. If you any query then please comment on the box below. We will help you to get the things you want. You can also get connected to our reputed Facebook page to get each and every notice about SEE result 2074 and 2075. We have already updated the list of�SEE Topper. It would easier if you directly give webpage to see reasuly.